Millions of UK residents own Smartphones. Some have gone to great lengths to get their smartphones, including using helpful programmes such as mobile phone recycling to gain a little extra cash after a new phone purchase. Mobile phone recycling is certainly a green opportunity and the money is an added benefit. A new smartphone might make it easier for jotter users over talkers. Some individuals have a second mobile device such as an iPad or tablet in order to jot notes and take control of other situations. Samsung has announced that they will offer a new device that may ensure that a user has everything they need in one device. 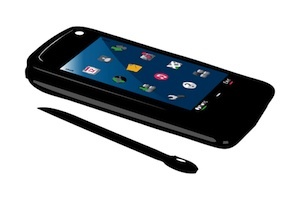 On Sunday in the US, the company announced a phone tablet hybrid. It will have a 5.3-inch screen with stylus and touch screen. It will be called the Galaxy Note in the US and be around $300 and a little less in pounds when it reaches the UK. So far, the device is only available from AT&T, a US company, although other Samsung phones are found with UK providers. This may mean the Note will be released in the UK if it has a good reception in the USA. Samsung has stated they wanted a phone that would be small enough to hold up to the ear, but also one that would have the roominess of a tablet. There have been many like it proposed, but no company has succeeded in launching a phone/tablet combination that can match the iPad experience as a tablet.